Two recently released documents – the Intergovernmental Panel on Climate Change report, Global Warming of 1.5°Summary for Policymakers (IPCC Summary), issued last week, and the Safer Affordable Fuel-Efficient Vehicles Rule for Model Year 2021-2026 Passenger Cars and Light Trucks Draft Environmental Impact Statement (NHTSA EIS), issued by the National Highway Traffic Safety Administration in July 2018 – provide a stark contrast in how to respond to the threat posed by climate change. The first document, and subject of this post – the IPCC Summary – issues a drastic call to action to the world to try to limit mean anthropogenic global warming to 1.5°C above pre-industrial levels in order to avoid potentially irreversible threats to human societies and the global environment. In contrast, the second document, the subject of a subsequent post – the NHTSA EIS – essentially accepts that the mean global temperature will warm by 3.5°C (6.3°F) by the end of the century, and therefore adding a little more CO2 to the mix by weakening fuel efficiency standards is not a cause for concern. The contrast could not be more striking. The IPCC Summary, which was prepared as a specific follow-up to the 2015 Paris Climate Conference (COP21), presents the latest scientific consensus on the potential impacts of a 1.5°C and a 2.0°C warming of the atmosphere above pre-industrial levels, as well as presents different ways by which the global rise in temperature could be limited to 1.5°C. Recall that the 195 nations that adopted the Paris Agreement committed“ [to hold] the increase in the global average temperature to well below 2°C above pre-industrial levels and [pursue] efforts to limit the temperature increase to 1.5 °C above pre-industrial levels.” To date, the best estimate is that as of 2017, the average global temperature has warmed by 1.0°C. It is important to note, however, that average warming is greater over land than over the oceans, and is especially pronounced in the Arctic, such that many regions already have experienced the effects of warming greater than 1.5 °C. 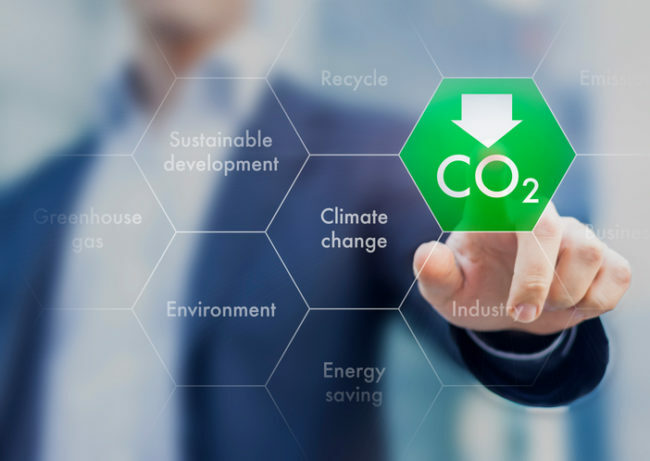 As part of the Paris commitments, each signatory nation pledged to reduce greenhouse gas (GHG) emissions by a specified amount known as the nation’s Nationally Determined Contribution (NDC). The NDC for the United States, for example, is a pledged reduction in GHG emissions by 26% to 28% below its 2005 level by 2025. Critically, even if every nation fulfills its NDC, these pledges are not on track to limit global warming to 1.5 °C. Much more action is needed. Within this context, the IPCC Summary analyzed two pathways by which net global warming could be limited to 1.5°C above pre-industrial levels; one pathway stabilizes temperatures near 1.5 °C while in the alternative pathway the temperature overshoots this target but later returns to that level. Stabilizing the temperature near 1.5 °C clearly is preferable to the overshoot scenario, as overshoot risks irreversible damage to ecosystems associated with higher temperature and risks triggering feedback loops, such as methane release from melting permafrost, which could exacerbate further warming. Essentially, net CO2 emissions globally must be reduced to zero through a combination of “supply-side” (energy source) and “demand-side” (energy use) techniques in the next 30-years. To make this task even more complicated, there is a level of uncertainty in how to define the “pre-industrial” period, such that 1.5°C warming might be reached sooner than 2040 and the equivalent negative effects reached sooner. Increase the risk of droughts, heavy precipitation events, and sea-level rise that threaten coastal communities (Sec. B1.3, B2.1). A subsequent post will examine a completely different way to respond to the threat of climate change – the NHTSA EIS.